Some of the best ways to improve the potential of your commercial laundry facility are not as costly as you may think. There are things you can do to maximize the lucrative prospects of your laundry facility business even though your budget is tight. You can create a streamlined, attractive laundry facility when you lease commercial laundry equipment in Orlando. Commercial Laundries can help you create the laundry facility of your dreams and reap all the benefits of leasing commercial laundry machines. We can show you how to improve your laundry facility possibilities with our great laundry products and services. When you lease commercial laundry equipment in Orlando from us, you generate a greater impact on your target audience, namely your tenants. They will be impressed by the quality and performance of our extraordinary laundry machines. Plus, you may also want to improve the ambiance of your facility with some generic changes too. A fresh coat of paint in an appealing color is one inexpensive way to brighten up your facility. You may even want to cover one wall with an inexpensive wallpaper that is lively and bright, or put a few cheery paintings up that you can purchase at a discount store. When you view your laundry facility as an on-site “store” that can increase your income stream, you can begin to see the full potential that it possesses. Adding a few vending machines that sell laundry soaps, fabric softeners, bleach etc. and maybe one that sells snacks or beverages, all adds up to substantial marketing tools that will increase your profit. All of our machines are equipped with easy to operate digital display panels that offer multiple wash and dry cycles, a variety of dispensers, and water temperature selections. 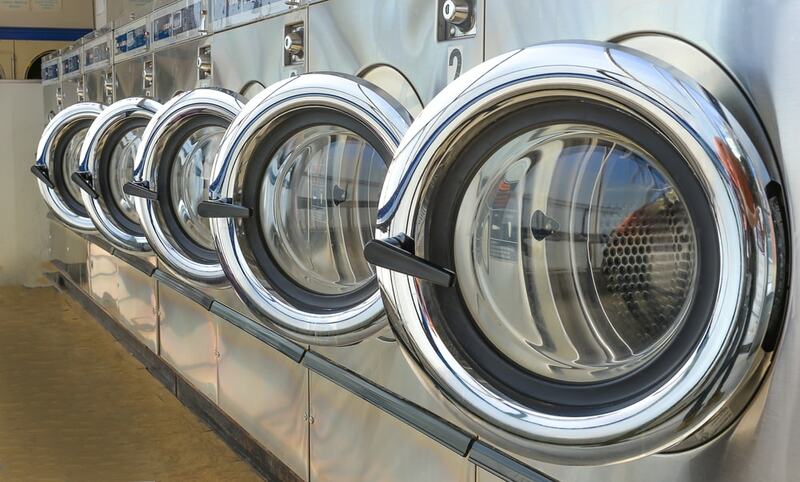 All of our washers have stainless steel or porcelain enamel washtubs to ensure that laundry is not damaged during the wash cycle. We also carry ADA compliant machines that provide easy access to the handicapped community. Plus, our laundry equipment has chip resistant cabinets and some models have reversible doors for flexible installation. All of our Orlando commercial laundry machines for rent are Energy Star certified to assure you of substantial savings on gas, electric and water costs. Our dryers have high efficiency exhaust blowers for a quick drying time, and are built with galvanized steel cylinders for endurance and sustainability. And our machines are built with metal components instead of plastic to ensure durability. If all the above benefits of leasing commercial laundry machines from us isn't enough, don't worry – we have more. When you lease commercial laundry equipment in Orlando you also receive complimentary maintenance and repair services on all of your leased equipment for the lifetime of the lease contract. One of our expert technicians will make regular visits to your facility to keep your machines running at their optimal level of performance. This ensures an excellent laundry outcome for your tenants, and keeps your machines energy-efficient and cost-effective. You will appreciate all the benefits of leasing commercial laundry machines from us. To learn more about our Orlando commercial laundry machines for rent, and the excellent services we provide, contact Commercial Laundries, Inc. today at 407-986-1410.